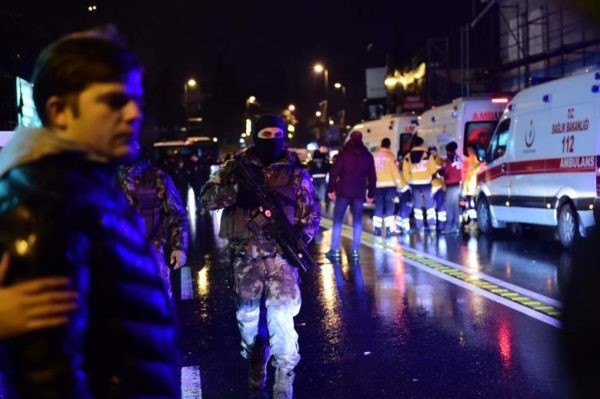 Home Tags Posts tagged with "istanbul new year attack"
At least 35 people have been shot dead and other 40 injured in a nightclub in Istanbul, Turkey, the city’s governor has said. Among those killed is one police officer, Vasip Sahin stated, adding that it was a terror attack. 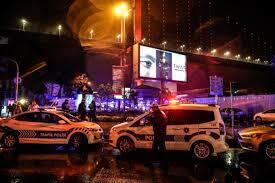 The gun attack took place in the Reina nightclub, in the Ortakoy area, at about 01:30AM local time. According to Istanbul’s governor, one attacker was involved. CNN Turk reported he was dressed in a Santa Claus costume. There were reportedly as many as 700 people in the nightclub at the time of the attack, some of whom are believed to have jumped into the water to escape. Some witnesses claimed the attackers were “speaking Arabic” while Turkish TV channel NTV said special force police officers were searching the club, Dogan news agency reported. President Barack Obama, who is on vacation in Hawaii, was among the first international leaders to make a statement after being briefed by his team. Meanwhile, the Turkish government has ordered a temporary media blackout in the wake of the attack, citing security and public order concerns. This is not the first time such an order has been made. Many were carried out by ISIS or Kurdish militants. Less than two weeks ago, Russian Ambassador Andrei Karlov was shot dead by off-duty Turkish police officer Mevlut Mert Altintas as he gave a speech in the capital Ankara in December.